Australia has launched a multi million-dollar campaign to attract more students from Africa, Latin America and the Middle East. Australia seeks to encourage more students from outside Europe and the West to study in the ‘lucky country’. Australia must throw its’ educational net wider in the world in order to remain in the top five destination countries for foreign students, a new government report says. Australia federal education minister Christopher Pyne urges Universities to look for prospective students in developing economies such as the Middle East, Africa and Latin America. There are currently around 500,000 overseas students studying across the country. Over 50% of foreign students come from five countries: China, India, Vietnam, South Korea and Thailand. Less than 10% are from Latin America. 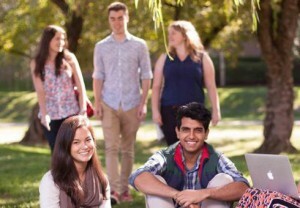 Changes to Temporary Visas scheme in 2013 – which allows foreign students to work in Australia after graduating – has led to an increase in the number of students choosing to study in Australia. Belinda Robinson, head of Universities Australia, says much is being done to highlight the quality of both educational and living experiences for international students. She says the country needs to ensure overseas students have access to affordable accommodation, receive transport concessions equal to domestic students and have the opportunity to undertake relevant work experience. Higher education is the country’s third largest export after iron ore and coal. It generates $16.3 billion to the economy. Leading observers believe the industry could grow to $30 billion by 2020 if government and institutions invest correctly.